Ayurveda is a healthy life-style system that originated in India more than 5000 years ago. According to Ayurvedic medical theory, each person’s individual constitution is pre-determined at birth. In this presentation, qualified Ayurvedic therapist, Helen Gregoriou, provides an overview of Ayurvedic concepts, talks about the causes of disease and explains the three different constitutional types, or doshas. Our individual dosha influences us at all levels – from our physical characteristics to behaviour patterns and our reactions to food, people, stress and just about everything in life! Included with the recording of this webinar are the presentation slides and a questionnaire to help you determine which dosha or doshas predominate in your constitution. The questions cover eating habits, physical characteristics, personality traits and behaviour patterns. Complete the questionnaire before watching the session so that you’re ready to learn how you can work with the dominant dosha or doshas in your constitution – Vata, Pitta or Kapha. If you want to see the questionnaire before purchasing the recording, click here to download a copy. 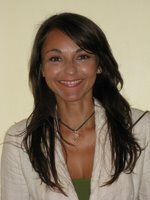 Anjani Helen Gregoriou is a holistic Ayurvedic Health and Lifestyle Consultant and Healer. Former corporate lawyer turned holistic therapist, Anjani offers corporate master classes in attaining and maintaining optimum health and well-being, as well as personalised consultations in her Sydney clinic. Anjani uses her 15 years of corporate experience coupled with her expertise of the 5000 year old Indian Ayurvedic ‘science of health’ to empower you to initiate the changes needed for the healthy life you deserve. Raised in a family of carers, Anjani always held a strong desire and commitment to help others. After suffering years of chronic digestive problems and debilitating sickness, Anjani began her search for an alternative way of reclaiming her health and coping with the stresses of modern day life. Through adopting the simple Ayurvedic principles of a daily routine, diet and exercise for her unique body type, Anjani cured herself within a few short months.